So you have decided to travel to beautiful Skiathos, Greece, and now you have a very significant decision to make concerning accommodation. Will you stay in a Luxury Villa rental or Luxury hotel? Fortunately, you need not resort to rocket-science in order to make the best choice. Below, we will discuss the various pros of opting for a luxury private villa to rent in Skiathos, over and above staying in a luxury hotel. First thing’s first,and that is that private holiday rentals undoubtedly offer exceptional valuefor money. Clearly and truly being one of the most cost effective answers for your holiday in Skiathos- you can actually save up to 50% compared to the average family hotel when opting to stay in a private luxury villa instead. This means you are free to spend that extra cash on whatever you want! Indeed, with great accommodation at affordable prices, you too can enjoy real luxury for less. 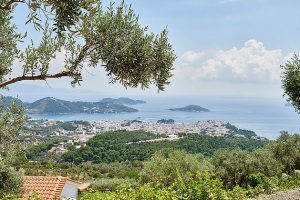 When opting for a private villa to rent in Skiathos, you can be rest assured to never bedisturbed by staff and/or other guests, meaning that you get to enjoy your holiday with total privacy. Since you’re not restricted to a single room as is the case in hotels, you actually get to enjoy the private grounds as well as amenities- leaving plenty of space for your family to enjoy quality time. From luxuries featuring the likes of a panoramic Aegean view and a private courtyard, to everyday comforts including WI-FI internet and LED TV– luxury Skiathos Villas have it all. Aimed at making your holiday extra special and relaxing, private villas in Skiathos will supply you with everything and more in order to get the most out of your stay. But beyond air-conditioning, beautiful gardens and breath-taking views, daily refresh housekeeping and laundry services will further more keep you smiling. Upon arrival, you can expect a warm welcome in the form of a special welcome seasonal breakfast with coffee and local products. When it comes to traveling with your pet, you might well be struggling to find a pet-friendly hotel. However, when staying at a villa, you will have indeed chosen the perfect solution for pet lovers such as yourself. 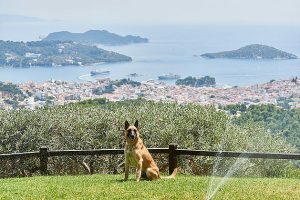 With plenty of pet friendly private villa rentals to choose from, not only will you be able to enjoy a great holiday for the whole family, but save money on kennel fees too. Most importantly, rest assured your pet is safe and sound. Staying in hotel rooms might likely leave a family of four feeling cramped in and claustrophobic rather than relaxed and happy. Fortunately, Skiathos villas and luxury villas are typically much bigger than standard hotel rooms. Generally offering additional space for less cost per night, it’s not hard to see which of the two is the better option is. Private villas also feature their own private gardens for you and your whole family to enjoy. Unlike with a package hotel deal, there are no restrictive check in times, dining options or tour schedules, which means you get to tailor your itinerary to suit you and your family. From choosing the sites you want to visit, the restaurants you want to try out and all other experiences you want to have – you’re absolutely and totally free to roam as you please. 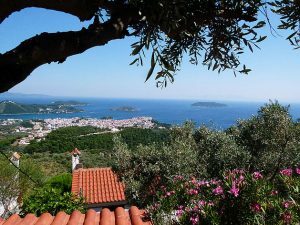 When opting for a private villa to rent in Skiathos, your chances to experience local Greek culture in adequate depth, is just so much better. Offering greater opportunities to interact with the local population, the owners of the local bakeries and food shops will likely befriend you. 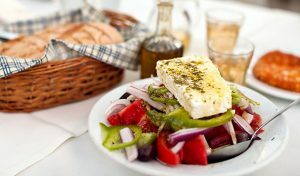 Ultimately, you will go home leaving Skiathos with a much better understanding of the Greek culture. In a holiday private luxury villa, you have the freedom to choose between amazing local cuisine, take- away, and trusty old’ home-made food. The villa usually list all the local choices for you, including some great restaurants where you can enjoy regional delicacies, other local dishes, salads and lovely wine. Alternatively, you can cater to your own family’s tastes by creating mouth-watering home-made meals, cooked with the freshest ingredients from local markets. Luxury Villas in Skiathos are undoubtedly great for the whole family, providing a luxurious environment for adults whilst also giving young children a safe place to play. Most luxury villa owners indeed provide cots, highchairs, safety gates, inflatable toys and many other items that enable a top-notch family-friendly holiday in a private villa.